Do you have a little princess in your midst? Teach them how to craft their very own unicorn wall art to hang on their wall or the door to their bedroom castle. 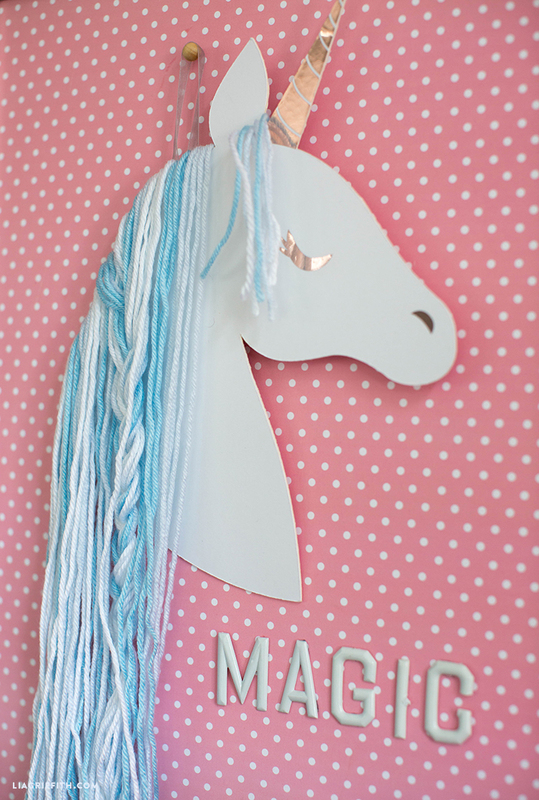 Our whimsical unicorn features cascading locks of yarn to braid or style and is great craft to make with your kids. Braid the mane of your unicorn or use it to their hairpins. This project is so easy it’s like magic. 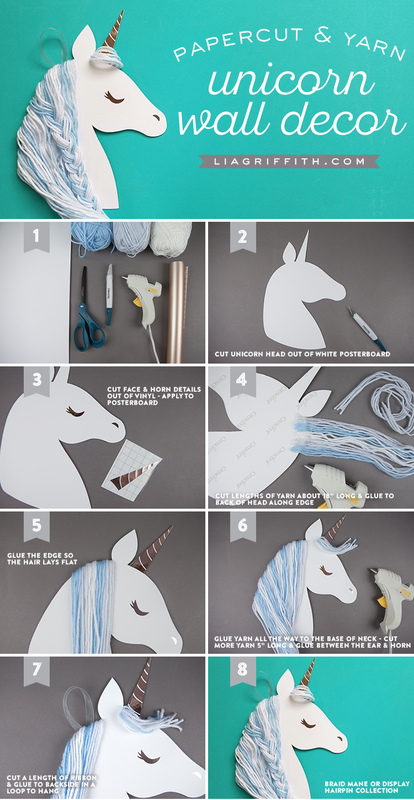 Just follow along with our easy steps below and we’ll teach you how to create your own paper unicorn. Browse more unicorn inspired crafts here. 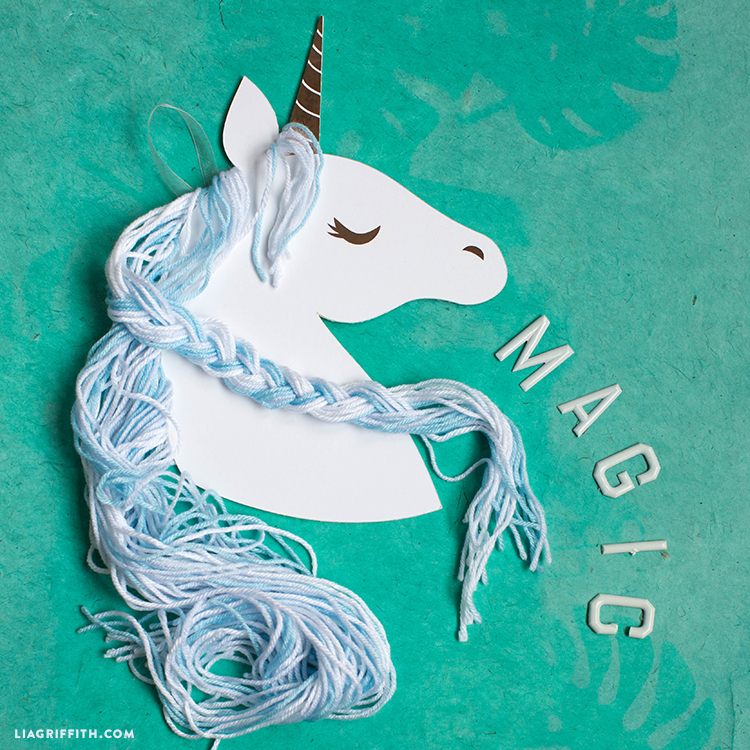 Cut unicorn head out of posterboard using a cutting machine (recommended), or cut by hand using a craft knife and printable template. Cut face and horn details on a cutting machine out of foil vinyl and apply with transfer tape. You can also draw or paint the details on by hand. Cut lengths of yarn about 18” long and glue to the back of the head, about 1/4” in from the edge. We did 5 strands of the same color in a row. 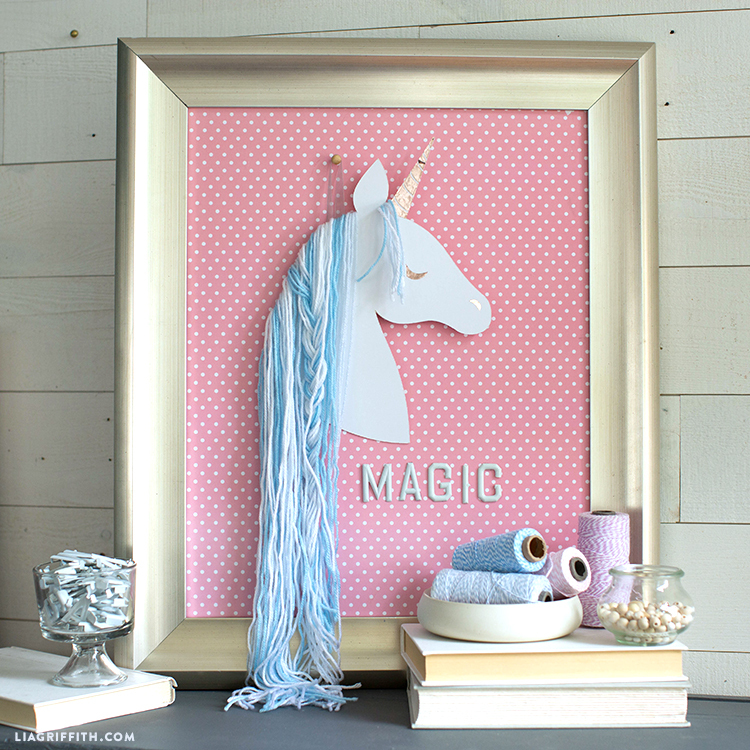 Flip the unicorn head over and glue along the edge of the posterboard to keep the yarn laying flat on top. Continue gluing lengths of yarn all the way down the base of the neck. Cut some more yarn about 5” long and glue between the ear and horn on the backside. Cut a length of ribbon and glue to the back, forming a loop to hang. You can braid the mane or use it for displaying a hairpin collection.